Breathe Easy With Lots of Island Puppy Love in Jamaica! This island even features award-winning restaurants. Who wouldn't want to bask in all of this culture? The answer is no one! Are pets permitted on the island? Unfortunately not; Jamaica is a rabies free country. Foreign dogs and cats aren't allowed to enter Jamaica unless born and bred in Great Britain, Northern Ireland, or the Republic of Ireland. Exercise, healthy eating, and helping animal-kind are all factors that go into leading a well-balanced life. Just south of the United States, lives a lifestyle that encompasses all of these factors in its purest form. Aside from the mundane life that needs to be lived where ever you reside, there is a life in Jamaica that yearns to be lived. Breathtaking beaches, tasty fresh organic farm food, and zen retreats await curious travelers looking for an adventure laced with sweet and balmy memories. With the help of Sandals and all of the inhabitants of Jamaica, you're able to have the most well-rounded experience. This island even features award-winning restaurants. Who wouldn't want to bask in all of this culture? The answer is no one! Are pets permitted on the island? Unfortunately not; Jamaica is a rabies free country. Foreign dogs and cats aren't allowed to enter Jamaica unless born and bred in Great Britain, Northern Ireland, or the Republic of Ireland. However, don't worry about a thing because every little thing is going to be alright! 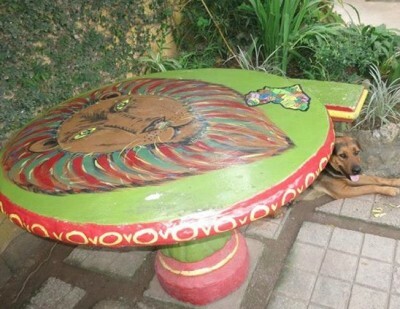 Furry homegrown canines (and felines) are actually a vivid part of the island culture and wherever visitors venture! Animals, wildlife, travelers, and the people of Jamaica can come together and breathe easy like the culture of Jamaica advocates! The Zimbali Retreats is situated just 20 minutes from Negril, surrounded by naturally beautiful and scenic mountains. It's an exceptional five star retreat and carries number one status on TripAdvisor. 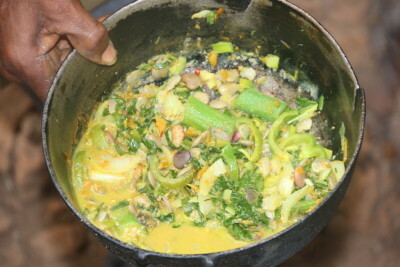 There are yummy lunch and dinner tours from Negril, Monday through Saturday. The retreat makes the most of its eco-friendly location by existing 100% off solar energy and harvesting rainwater. Fresh and untainted rainwater is less harsh on the skin than tap water, and healthier to drink, once purified. The holistic theme is continued with the scrumptious food from Zimbali; 100% organic. 70% of the food is grown onsite, and hungry visitor's can pick their own produce including coconuts and vegetables. That's only the start of the palate inviting tasty produce available, there's a myriad of home grown fruits and vegetables; 110 Avocado trees, 50 Orange trees of five varieties, 100 Sour Sop trees, 35 Lychie trees, 50 Ackee, 100 bread fruit and 50 mango trees of six varieties. The farm produces its own honey; there's a 16 box apiary onsite. The Zimbali Retreats is proud of its loyalty to the Ital food system and many meals are vegan or vegetarian, although chicken is also offered. The Rastafari movement and belief system is an essential part of the Jamaica culture that holds ultimate respect for animals, making The Rasta Ital diet, known as Ital, meat-free. Another reason for adopting this diet is that it keeps the body clean and healthy, by strictly living off natural produce. 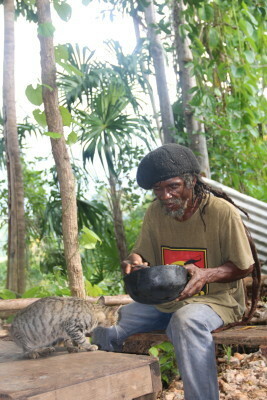 One man who lives the true Rasta way and resides in the hills outside of Negrilway with his dog Long Nose, and cat Jungle Man, is "Fire, the Rasta." Travelers craving an authentic Rasta meal with Fire can book a homegrown meal through Zimbali Retreats. Located in the embedded beauty of pristine sand beaches, with Fire's fine cuisine straight from his organically grown and all-natural garden, ranks high as an authentic Jamaican experience. Fire doesn't have any electricity and cooks over a fire pit, but he does have a cell phone to receive reservations! Love of animals is obvious for all to see at the Zimbali Retreats, with dogs Ginger, Tweetie and Lassie greeting guests, accompanied by their cat counterparts; Mama Kitty, Grayson, Graystin, Trevor and Red Head. Sample some traditional entertainment at Zimbali with Hot Steppas, and Jamaican drummers every Wednesday night! 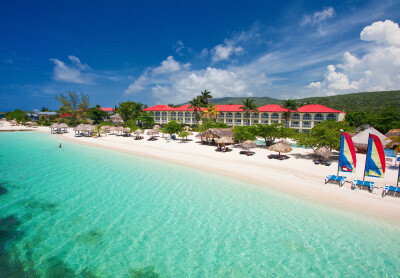 Montego Bay is one if Jamaica's most luxurious beachfronts, offering all-inclusive resort packages. The perfectly manicured beaches are some of the most breathtaking. Not only do they care about their guests walking on two kegs, they also care about their guests walking on all four! An hour away from Negril in Montego Bay, the ethos of caring of animals at the Montego Bay Animal Haven is alive and well! Founded in 2009, the haven for animals is a rescue mission created by Tammy Brown, a trained veterinary technician, who graciously opens her home to animals in need from every street corner in Jamaica. One of the main goals of the Montego Bay Animal Haven is to control, maintain, and handle the over populated Jamaican animals. Brown works closely in conjunction with another local animal advocate; Debbie Lightheart. Montego Bay Animal Haven provides an adoption process for the animals it houses on a temporary basis, even relocating some homeless animals to the United States. The haven does this free of charge, although there are costs such as license and veterinary fees to consider. In addition to adoptions the haven cares for animals that can't be adopted, and visits communities to assist with feeding strays, spaying, and neutering. Want to help out? Contact Montego Bay Animal Haven HERE! 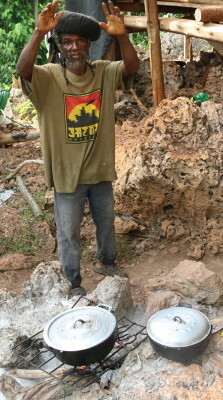 Sandals gives back and cares for the environments they host! The Sandals Foundation is the philanthropic arm of the organization, which invests in sustainable communities that are home to its resorts. 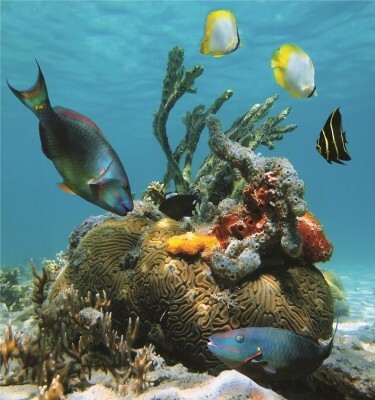 One such investment is the Boscobel Sanctuary; home to teeming marine life and "no fishing" zone protection. Presently, there are no endangered fish species in the area, and the foundation ensures this remains the case by assisting with replenishing depleting fish stocks by over 6% over during the past decade. While visiting Boscobel Sanctuary there are many amazing natural sights within reach such as witnessing baby turtles hatching. The four species of turtle native to the area are the Logger Head, Halksbill, Green Sea and Leather Back. The nesting season for these creatures runs from May to November but mostly takes place in the summer months. The Sandals Foundation works with two different turtle conservation organizations in Jamaica; Bluefields Bay Fishermen's Friendly Society in Westmoreland on the south coast, and Mel Tennant on Gibraltar beach in Oracabessa, Jamaica. Mr. Tennant is particularly talented at tracking turtles on Gibraltar beach and can usually predict when turtles will lay nests within the turtle hatching season. He reveals, "In 2004, we saw tracks so we started walking up the beach and realized what was going on. We didn't see any nests, but we saw empty shells. The next season, we tried to figure out a way to prevent people from killing them. We were on the beach every night for four months, and we would use big bright lights to dazzle them. They didn't know if it was the police or what, so they would flee, and that's how we basically stopped the killing." He continued, "Turtles are a protected species and they are critically endangered. 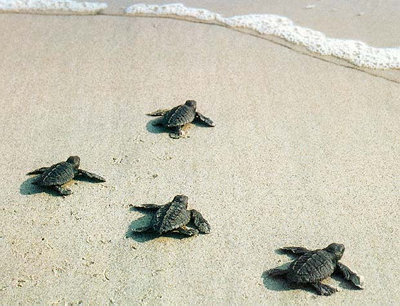 When we first started, we had hawksbills, logger-heads and green turtles. Now they are basically all hawksbill." His mission is to get the turtle population back up. 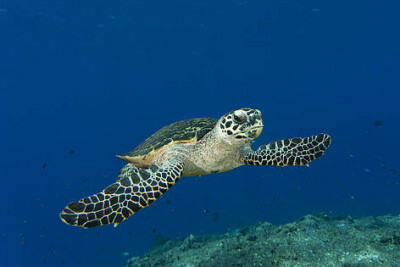 The Sandals Foundation has also worked with the Antigua Sea Turtle Project, and they are always reaching out with turtle preservation organizations. In addition to their work with marine life, the Sandals Foundation assists with the spaying and neutering; 4,812 cats and dogs from 2009 to date. They work closely with several other organization including; Operation Potcake, St. Lucia Animal Protection Society and International Spay/Neuter in Jamaica. 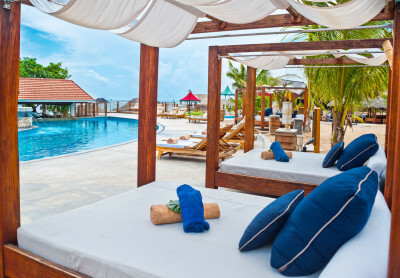 Do your part in the lap of luxury with the Sandals Foundation HERE! If you want to continue getting close to the nature of the island, a stay at Bromley Jamaica Retreat Center will let you do just that. This retreat is located in the hills above Ocho Rios and is the perfect place to get away from it all; it's one of the most relaxing spots on the Island. You can visit the birthplace of Bob Marley, enjoy tea with a local artist, and go to a local waterfall. Not only do you get to enjoy the relaxing surroundings, to make your experience even more enjoyable you are equipped with your own personal butler to cater to your every need. These detail-savvy stewards are trained in regard to the highest standards by the Guild of Professional Butlers (they're the ones that provide butler service for celebrities and nobility!). They will do any task from unpacking your luggage, to providing a private resort orientation, and everything in between. Locally produced food is mostly the main ingredient found in the Bromley cuisine served on the 300 year old one time cattle plantation. 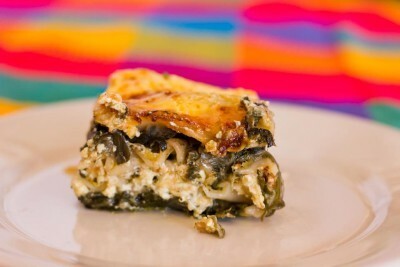 Here's a Bromley recipe delicious enough to try at home! Cook down until lightly cooked, adding 1/4 cup of water. Cook for 30 minutes and Enjoy! 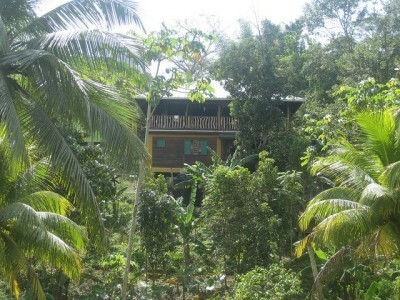 Located in the heart of nature is Bromley, Jamaica. Its extensively large grounds make it perfect for workshops and retreats. In which case, Bromley, Jamaica is the home to the Bromley Retreat Center. 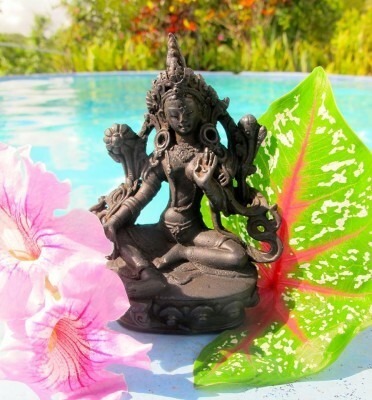 Surrounded by orchid trees, reap the benefits of yoga and mediation retreats at the Bromley! This breathing and centering ancient exercise technique helps to improve flexibility and builds muscle strength. The Bromley dogs greet, meet, and mingle with all guests. When a puppy, Meatball was bitten by a rat, and suffered some severe injuries, but he's grown into a friendly and engaging dog. 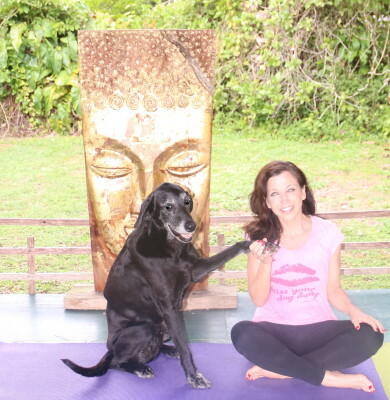 Nelson and Neddy are Weimerana/Labrador mixes, extremely entertaining, and even take part in yoga sessions. Downward-facing doggie anyone? 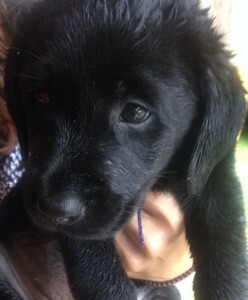 When traveling through the Ocho Rios area stop at the Jamaica Inn resort and say hello to the beautiful female Black Labrador Retriever puppy named Shadow IV. A succession of dogs have resided at the Jamaica Inn and named Shadow (reason for the Roman numeral). Shadow IV was the lucky pick from a Montego Bay litter. Shadow IV certainly landed in a fabulous home! 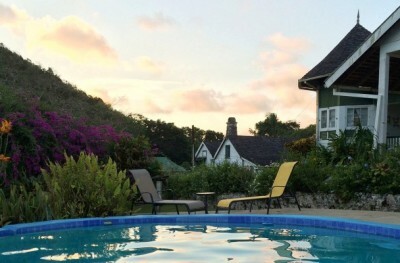 The Jamaica Inn is a small luxury hotel, owned by the Morrow family for over 50 years. Guests can stroll through the Inn's manicured grounds, while watching thirty species of birds fly amongst the trees. If you want a more intimate experience, the place to be is the Jamaica Inn! 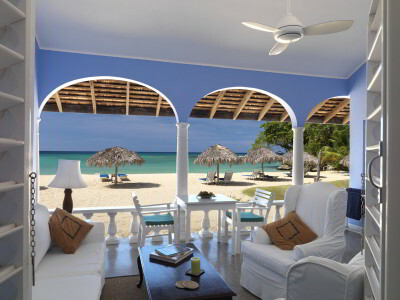 Since 1950, The Jamaica Inn has been ranked one of the top hotels in Jamaica and the Caribbean. The view of the Caribbean sea is enough to make a person go. The Jamaica Inn isn't only a peaceful and welcoming place to stay. The establishment also gives back to the community through the Jamaica Inn Foundation, which works on projects involving local youth and the marine environment. For more information on the Jamaica Inn Foundation, check it out HERE! A visit to Jamaica certainly will shake and stir your senses; words inspired by a certain famous international spy. We couldn't end our exploration of this island paradise without a Hollywood media mention of Goldeneye, the luxury villa resort which originated as the island home of James Bond creator Ian Fleming. The site, located in Oracabessa, still features the original Fleming Villa where he wrote all 14 of his Bond novels. Goldeneye has played host to some very famous guests over the years, including Hollywood's power couple, Elizabeth Taylor and Richard Burton. Sting wrote Every Breath You Take while staying at Goldeneye; an appropriate song for an island that is truly breathtaking. Dr. No, one of the most famous James Bond movies was filmed there, and where legendary Bond girl and Euro star Ursula Andress mingled with local wildlife between takes. Wildlife and natural beauty makes Jamaica a place to put on your top islands worth a visit! 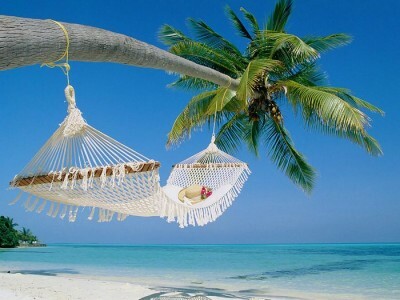 Time to relax and breathe easy the Jamaican way. If you want to book a gorgeous, fulfilling vacation with Sandals, find out more information HERE! It really is the perfect way to relax all while soaking up the sun and a new culture. For the Best that Pet Lifestyle and Animal Welfare has to offer follow Wendy Diamond on Facebook, Twitter, and on AnimalFair.com!